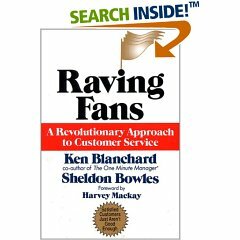 Do you need to create “A Revolutionary Approach to Customer Service” in your organization? If so, put your employee training content into a cost effective Online Elearning System and put your customer feedback questions into an easy to use Online Survey System. Create a perfect “vision” of service centered on the customer. That perfect vision is your goal. Make it easy for customers to do business with you. For example, use websites and other technologies to help customers shop. Make the customer experience warm and pleasant by training staff to show attentiveness, warmth, and knowledge. Communicate your vision to the rest of the company and focus on constantly achieving your vision. Customers only focus on a few needs. So you find and then focus on those needs. (when I was in the Fast Food industry we focused on HQSC - Hospitality, Quality, Service, and Cleanliness) Listen to what they say, and listen to what they don’t say. Start asking sincere questions, and win their confidence. (You may want to send out a customer survey.) Serve them, then ask their thoughts and opinions. Show them that they are important. Consistency is the key. If you promise and deliver consistency in quality, timliness and results, you will win over customers and keep existing customers coming back to you. Improve your “vision” by 1% per week so you can master consistency in delivering new as well as existing commitments. So how do you develop consistency? A. Don’t commit to the mistake of offering too much service. It’s better to find a small promise you can consistently deliver than a myriad of services you seldom can meet. B.Put systems in place. Systems allow for a minimum level of consistency. C. Support your systems with good training. Help your people deliver on what you promise to the customer by putting them thru cost effective training. Systems are useless if you don’t put a training system to support it. D. Finally, congragulate staff when they do well in exceeding customer expectations. I’ll be back again next week with another summary of a best-selling business book and how it relates to the elearning industry. Do you have questions about Online Learning, Elearning Software, or even Printed Quizzes or CD-Rom Packages? If so, give me a toll free call at 866-696-8709 x922 or email me at frank@atrixware.com . I would be happy to offer you a free consultation or webinar. This entry was posted on Monday, February 18th, 2008 at 4:11 pm	and is filed under Customers, ELearning Industry, Frank. Both comments and pings are currently closed.